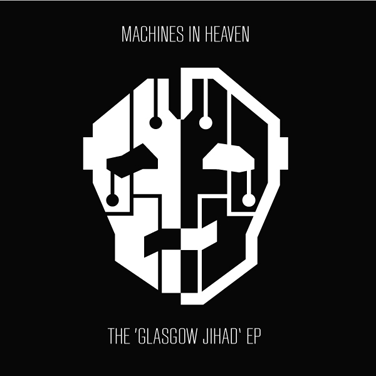 Despite their questionable EP title, more befitting a horror-punk act, Machines in Heaven are a new, Glaswegian, four-piece who make synthy, squelchy electronica. ‘The National Monument’ has a modern hip-hop feel, opening on blissed bleeps before bleeding into a chopped out vocal, and although it’s a little structureless it’s an interesting opening to the EP. ‘Mumbo Jingo’ flexes and pops like the rhythm section on a Prince song, the bass line has the feel of a club track matched to a catchy synth hook but it’s the closing track ‘Borders Breakdown’ that shows the band at their most ambitious, encompassing everything from skittering RnB rhythms to a widescreen Killers-esque guitar line over the course of nine minutes. There’s just enough in the way of eclectic beats to keep things interesting before a spacious coda, that offers the perfect fade-out for the end of a night. Having had a couple of tracks played on BBC Introducing and a successful slot at the King Tut’s New Year’s Revolution, it’s not hard to see the four-piece following the likes of Chvrches in breaking out of the Glasgow electro-pop scene.